From this page you can access the entire text of my book The English Parsonage in the Early Nineteenth Century, chapter by chapter. We have scanned the book in its entirety, but if we eventually find the publisher’s pdfs we will upload those instead and thus allow searching for text. In architecture, it means paying attention to the physical nature of both the materials and the practical function of a designed object from its overall form to its smallest details: in fact, the realist architect believed that these details should be designed coherently so as to constitute an indivisible part of the whole concept of the building. Most importantly, however, a realist approach assumes that architectural quality emerges from a direct and expressive confrontation with real materials and new conditions of life. Thus a ‘realist’ building can be usually identified by its almost exaggerated approach to solving constructional problems. An early Victorian house might have a tall roof and deep eaves that are obviously and expressively designed to throw rain away from the face of a building, in contrast to the near-flat roofs and rendered parapets of most neo-classical architecture that were impractically vulnerable in rainy Britain. 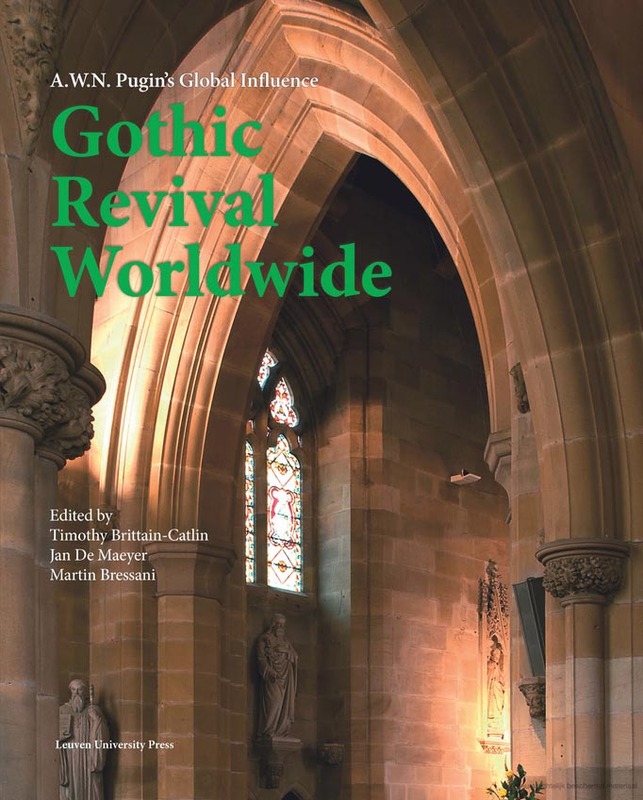 Specifically, I was trying to move interpretations of gothic revival architecture away from the romantic (which had always seemed to me, as a practising architect, to be improbable) and towards something more professional and, indeed, more realistic. A further aspect of the book which in retrospect has seemed more significant than it did at the time is that house builders of the 1830s in particular saw it as important to build pretty, comfortable, pleasant houses and that gothic revival architects never talked about these things: in fact, architectural criticism seems to have treated these qualities with contempt ever since. I would like to take this opportunity of thanking all those who supported the original publication and this online version of it. The Front Titles and Introduction lists all those who contributed to the original costs of research and photography. The full acknowledgments are listed below, but I’d like here to express my particular thanks to the late Martin Charles whose unrivalled architectural photography is the true success of this book, and to Allon Kaye who designed it beautifully. John Elliott, Geoff Brandwood at Linda Hone at Spire Books were outstanding publishers and kindly gave me permission to reproduce it here. This online edition is dedicated to the memory of Martin Charles. The text is my copyright, but you are welcome of course to quote from it providing you provide the full details of the publication, as above. All illustrations are however copyright and you must seek permission from the rights holders listed in the file Image Credits below. The copyright for Martin Charles is held by the RIBA Library Photographs Collection. The actual graphic format of the book is copyright Spire Books. The surname ‘Ovenden’ which appears in several places in the book should read ‘Oxenden’. Illustration 4.17 on page 206 is not of Railton’s Mathon parsonage my error was due to a renaming of the parish. I will add further details here when I have them. The third error that was quickly pointed out to me is that I have used ‘mortgagor’ when I should have written ‘mortgagee’, for example on p23. I am always grateful to anyone who can point out any further errors. Norfolk Record Office has asked me to provide the following corrected reference numbers for images: Fig 2.2, Lound: DN/DPL 1/3/38; Fig 2.47, Sutton: DN/DPL 1/3/58; Fig 2.53: Rockland St Mary, DN/DPL 1/3/52. I am very grateful to image copyright holders for allowing me to put this edition online. I wrote to ask permission from all of them and almost everyone replied. Somerset Archives asked that all plans be removed, so I have erased them.